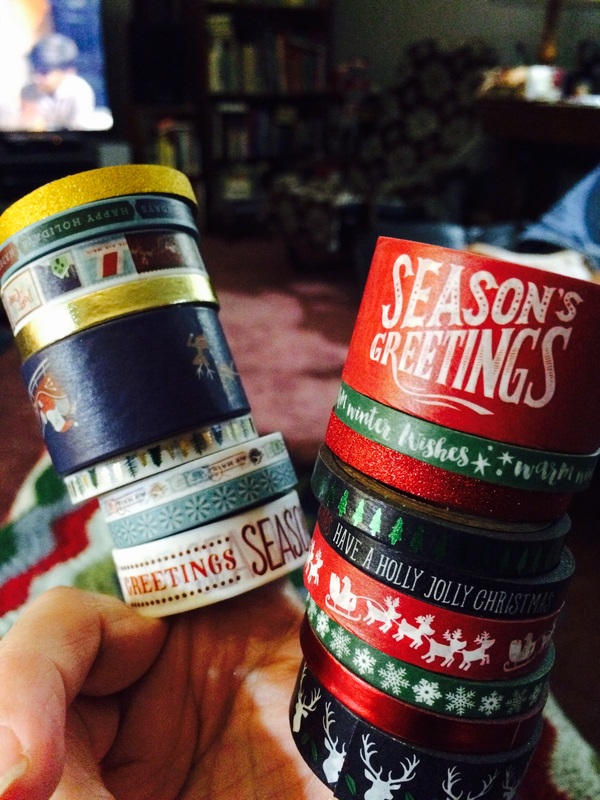 Hello my little Christmas Crafters. I may have a tiny washi tape addiction. Like felt it is an easy product to work with, and can give you great results with a minimum or tools or artistic talent. And if you shop around for sales, or use your coupons it is inexpensive too. So I had a bunch of ideas about how I could turn some bits and bobs into useful Christmas goodies. 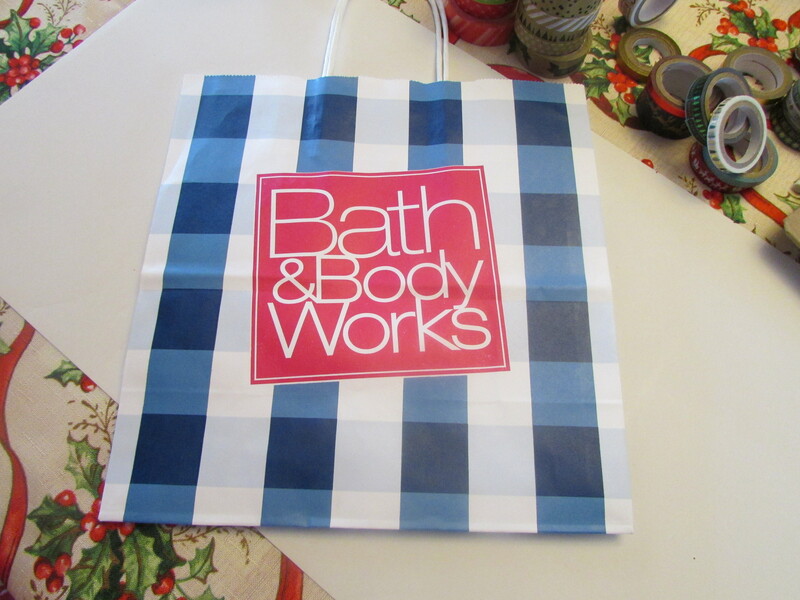 Lots of stores like Sephora, or Bath and Body Works, give you nice paper bags with your purchases. I hate to throw them out and I had saved up quite a few. 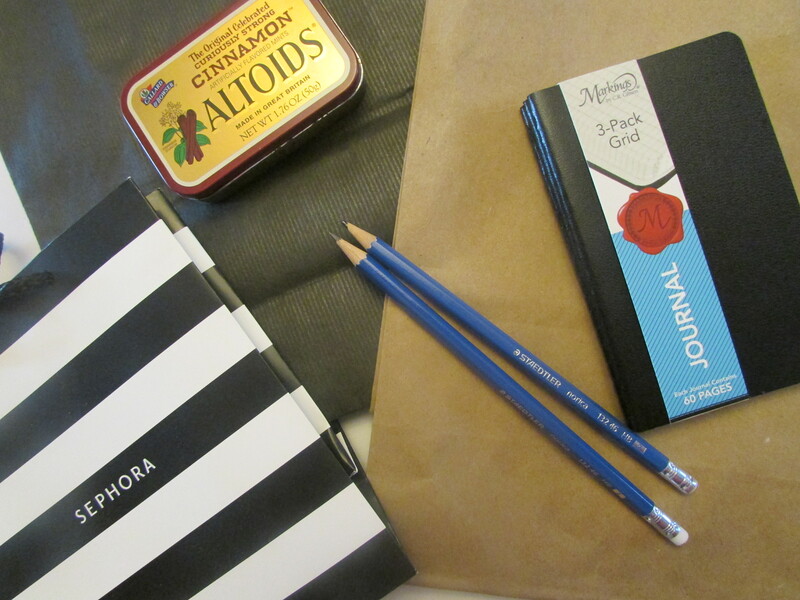 I also had a old Altoids tin, a package on nice little black note books, and a couple of pencils. I was really pleased with how the Sephora bag turned out. 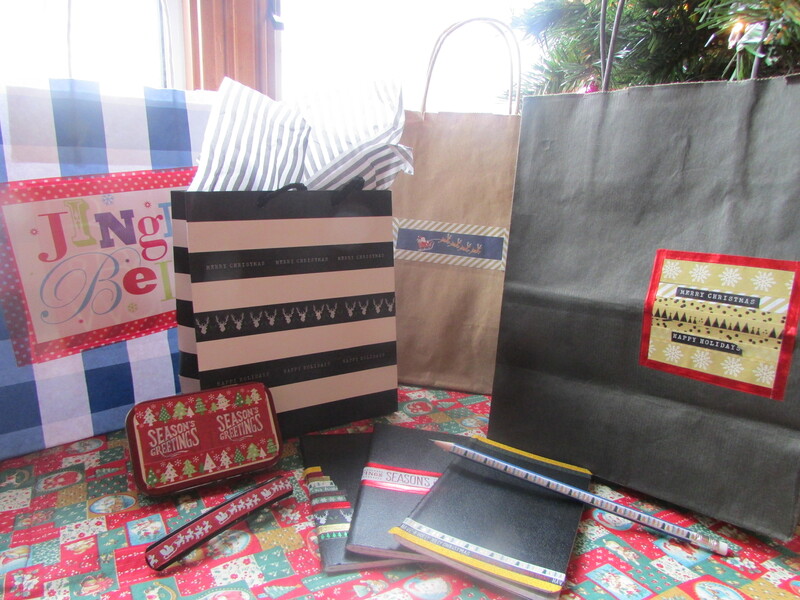 I had some Christmas washi that has a black background so I iused it to blend in on with the stripes. 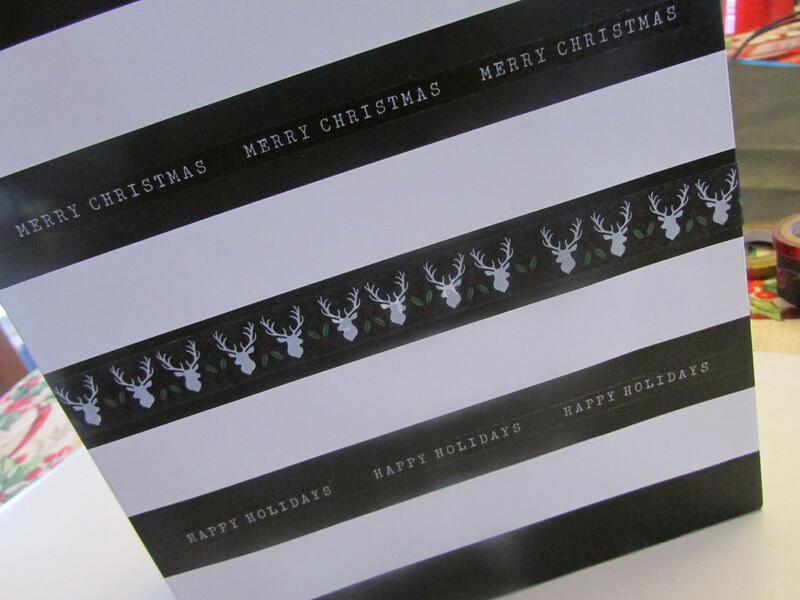 The picture may not show it clearly, but the centre stripe has little deer heads and holly leaves which (was just wide enough to cover the Sephora logo) and there is a thin black washi that says Merry Christmas or Happy Holidays on the stripes above and below. It looks really classy. Remember to check both sides of the bag for additional logos. 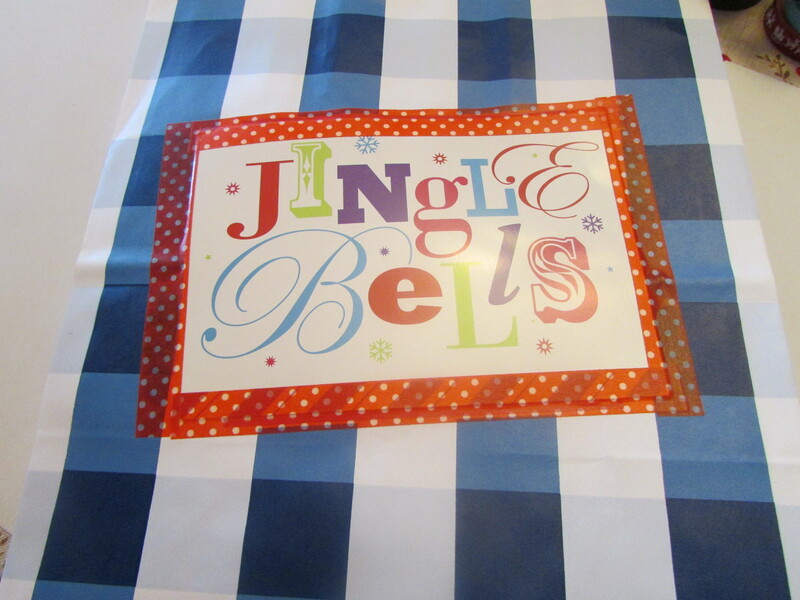 I have quite a few of these Bath & Body Works Bags and I found some Christmas cards that matched well. I cut the picture from the card and I used a red and white polka dot for the frame on this one. The washi is strong enough to hold the card, but as you are figuring out your placement you can re position it without ripping the paper underneath. Once I am happy with the position I run my finger back and forth pressing it down firmly. 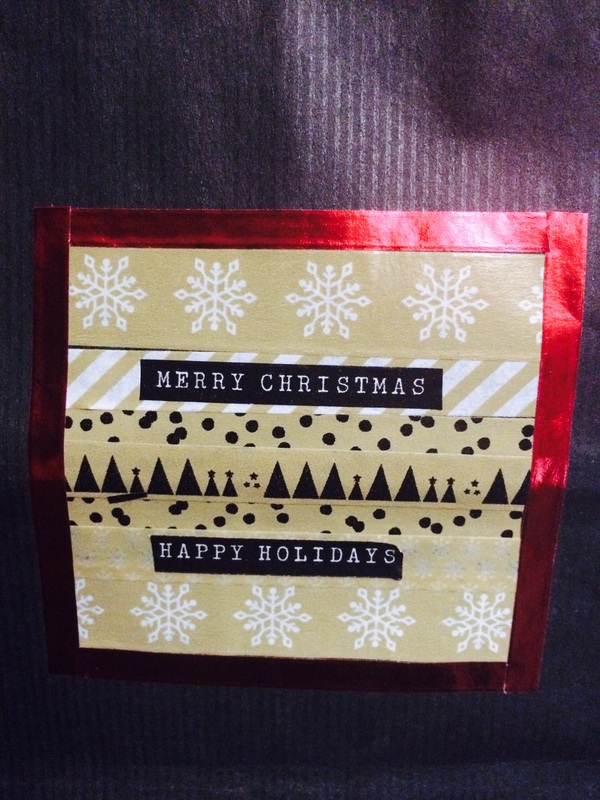 This black bag had a scuff on one side and I was able to cover it with a few strips of coordinating tape. I layered some of the narrow tapes over the over others and added a couple of printed phrases. The red foil makes a great frame. Boy do I love this stuff! 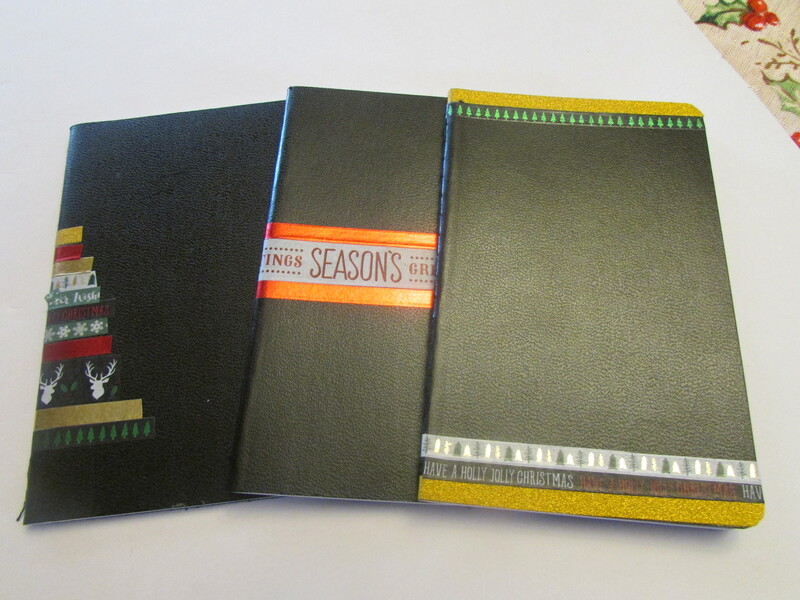 As soon as I saw the package of these little notebooks I knew I could embellish them. The one on the left I was attempting a tree shape…It may have worked better if I had a bunch of green tapes. 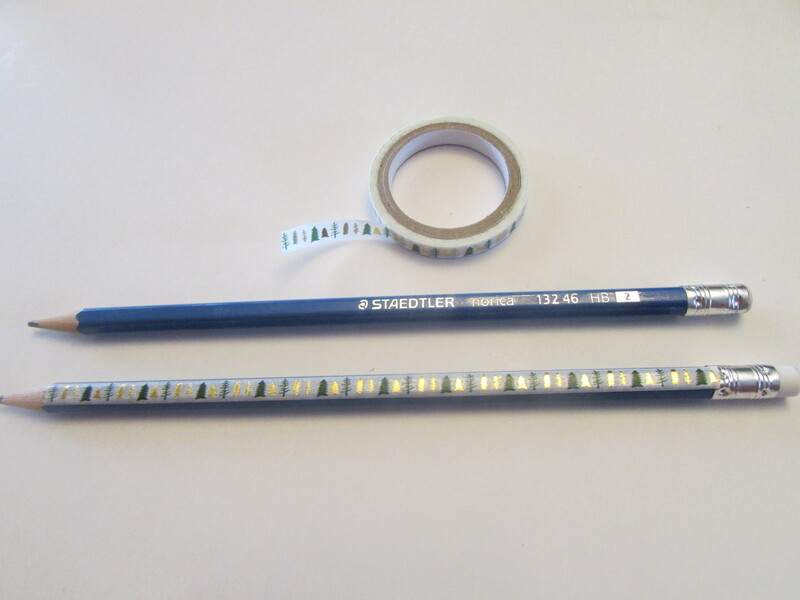 I love the thin foil tapes they are great for edges and borders. These little note books are great for creative people as the pages are in graph paper and they are small enough to keep in a pocket or purse. And how about some pencils to match? Again the thin tapes worked great here. One stripe down each side. This would be great as a kids craft or for in treat bags at a birthday party. 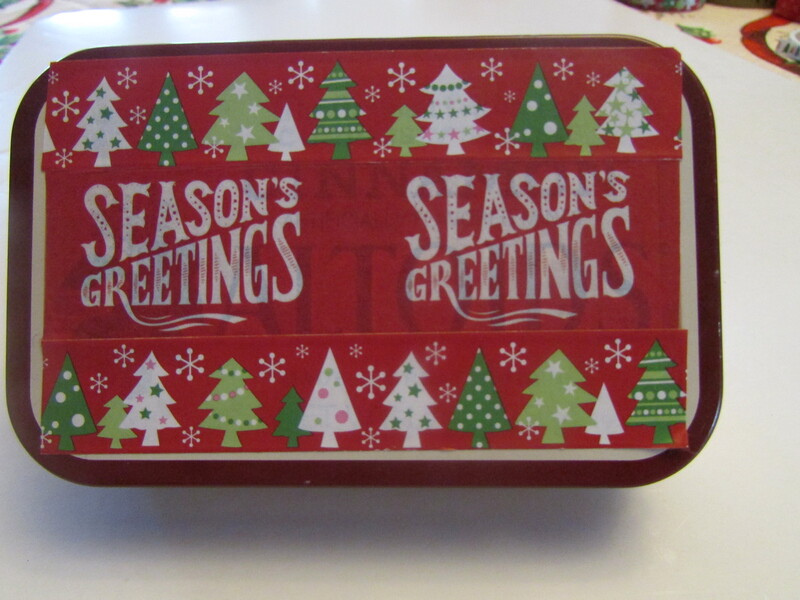 The little tin could store a few Christmas candies or maybe for a gift card? 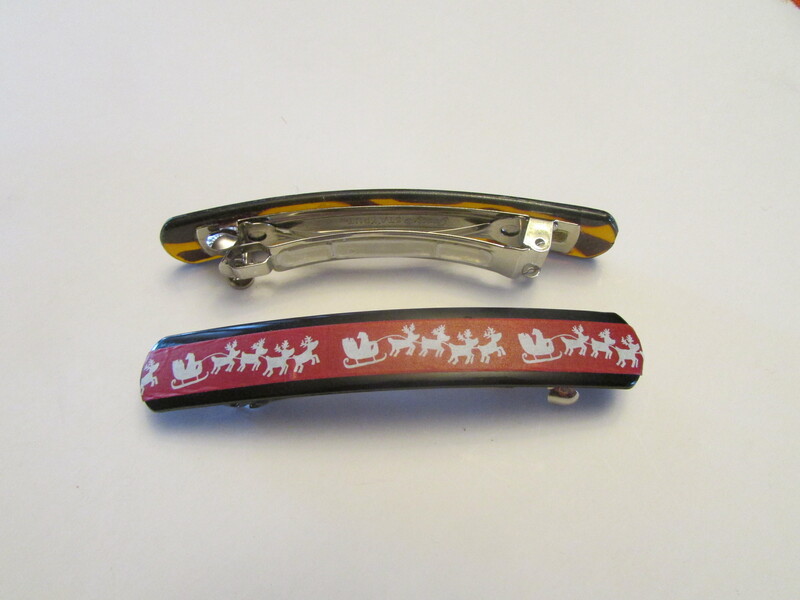 I even transformed one of my hair clips for the season. The great thing about this is I can just peel it off after the season is done. All of this only took an hour or so to make, I can’t wait to do more washi crafts. 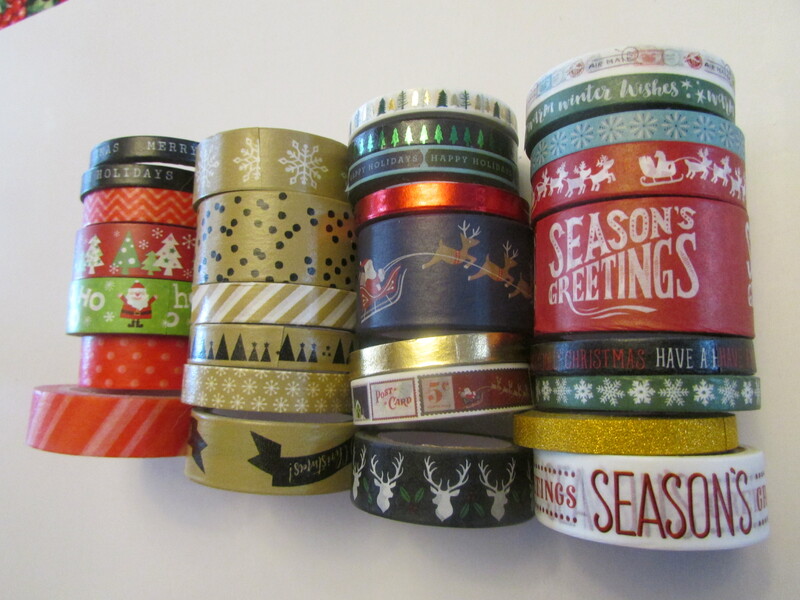 I have even asked Santa for a washi tape storage system….. Such a smart Idea with the Sephora and Bath and Body Works bags I would have never thought of that! I’ll put a little pressie to you in the Spehora one shall I? Thanks Kate. It turned out really nice. I’ll keep all the bags I get from there!